We can assume that the intentions of legislators and regulators have some socially redeeming intent. The problems occur when laws and regulations are passed and the details of implementation are left to bureaucrats. Those details usually leave almost total power in the hands of functionaries, with little or no restraint from any compassionate authority. The result is that there is little room for any humanitarian consideration in straightjacket bureaucracy. A bureaucracy that in its rigour in enforcing the letter of the law, leaves no room for consideration of the spirit behind the law. And in so doing, puts the lie to basic assumptions of our society that we take for granted. We end up lying to the victims of the law, and to ourselves with regard to the quality of justice and mercy we believe exists in our programs and institutions. Our governments in Quebec — regardless of party — have preached certain standards for years. We believe, they have told us, in a bilingual citizenry. We believe in the integration of immigrants. We believe that funding French-language training is a responsibility in order to achieve both integration and employment success. We believe in encouraging homecare to seniors, not only to relieve the strain on the healthcare system but because it is better for the person. We believe in giving the benefit of the doubt to a citizen if they forget some minor piece of information when faced with the juggernaut of bureaucratic inquiries for almost any government help. And finally, and perhaps most importantly, we believe that a helping hand is not a handout. That it is the right thing to do because we are a compassionate people and because — in the end — a person who gets back on their feet is not a burden on society. They become productive, tax-paying contributors to that society. They become builders of it. These have been the promises of our patrimony. Alicja Pawlus Morales believed these promises. But over the past year she has seen the dream held out by these promises become a nightmare. And the garden of hope they once reflected, become a parched and withered landscape. The landscape of a life brought low. The banality of what happened to her — and but for the grace of God could happen to any of us — should rouse us from our lethargic obsession of kidding ourselves, and others, as to what we are all about. Alicja Pawlus arrived here from Poland in 1960 as a teenager with her parents. Just the kind of educated, multicultural, multilingual immigrant we still boast of and yearn for. After finishing school she had no problem finding a job. Life proceeded properly apace. Marriage to her husband, a Canadian of Mexican origin, produced a son, Emilio. The perfect Canadian cultural mosaic. Polish, Mexican and all-Canadian. Tragically, her husband died in the early 1980s. Alicja, now known as Ala, decided to move to sunnier climes and leave some of her pain behind. She obtained a green card and got a job in Florida. For the next dozen years she lived there and frequently came back to Montreal to see her mother. In 1994 tragedy struck again. 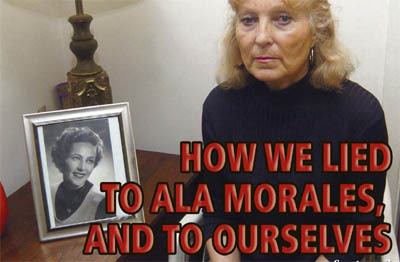 Ala’s mother was diagnosed with Lou Gehrig’s disease. Ala decided to give up her life in Florida and came back to Montreal to take care of her. Good French was a necessity since she last worked here, so she decided to apply for a government subsidy to take French courses. She was approved and began learning at Cegep St-Laurent near her home. She do so well that the program’s directors encouraged her to go to an advanced level at the Cégep de Vieux-Montréal. She graduated with flying colors. Overall, she received $500 a month from the Ministry of Employment and Social Solidarity over a period of 18 months. She quickly got a job with Rogers, and became a productive, contributing, tax-paying citizen. Given that she spared the health system chronic care for her mother, Ala was a great “return on investment”. Sadly, her mother passed away in 2001. But further troubles awaited Ala. In late 2007 the Ministry’s Centre de recouvrement contacted her. They called her in for a series of meetings through 2008. The Ministry wanted money back. 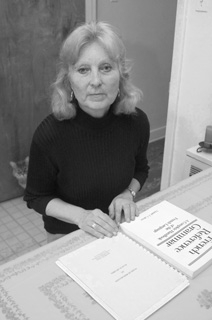 Its inspectors had obtained information, ostensibly from a family member upset at Ala and her mother who had taken a box of the latter’s bank records and sent them to government agencies, that Ala had an account in Plattsburgh with $2,500 in it at the time she was being subvented for French classes. The recovery centre wanted over $8,000 from Ala. This amount was arrived at in a convoluted calculation that included capital, interest and of course penalties. Apparently, because Ala’s language subvention came from the same ministry that sends out welfare cheques, they were governed by the same rules. Those rules, originally meant to prevent people with means from getting public assistance — a proper goal — are encumbered with draconian regulations. In essence, before you get any assistance, you have to have spent your last dime. Not exactly a helping hand. Ala explained that she was not receiving welfare. She was subvented for language courses. She also tried to explain that no one had asked her about any bank accounts. And that account she had forgotten about entirely because she had used it as a convenience in her years traveling between Montreal and Florida. The money was her mother’s and she had the power of attorney. She pleaded that she had saved the system money by taking care of her mom for six years. That though she was working, she certainly didn’t have savings. No one was listening. Though her legal aid lawyer Roger Landry convinced the ministry’s recovery people to somewhat lower the amount demanded, and confirmed to them that Ala was economically vulnerable despite her employment because, ironically, she had qualified for a Revenu Quebec housing credit. So while one Quebec ministry was chasing her for money, another had qualified her for aid! Ala turned to us as a last resort. We have contacted the minister’s office and asked it to review the file once again. Our reception was cordial and we believe sincere. The minister has authority under sec. 104 of the Act to overturn decisions of the ministry’s recovery agents in cases of “exceptional circumstances.” We hope he uses it. If he does not, then we as a society have lied to Ala Morales and we have also lied to ourselves.